Before we left for Aruba, the binky attachment was at an all time high. We told Cora that when we returned, the binky was going to go bye-bye. We talked about how her friends don’t have binkies and she was a big girl now. She basically gave zero shits about those reasoning’s and every time we face timed her from Aruba she waved around her binky, taunting us. I will say, my husband was much more adamant about getting rid of it than I was. I’m not sure why, it has just never stressed me out. It wasn’t in her mouth 24/7 so it didn’t bother me. Never the less we came back and operation take away binky was in full force, with zero plan of how to go about it. We heard every plan in the book from other parents and all I knew was that cold turkey was not going to be our method. We decided to narrow it back down to nap time and bedtime. While there were some meltdowns, especially in the car, she was fine with it. Within a couple of days she quit asking for it at nap time and completely didn’t have it at daycare. Within one week we were down to just bedtime and that is where we currently stand. There has been a few nights she forgot to ask for it and she went to bed without it. She comes out every morning, sets it on the counter and goes about her day, never asking for it. We are really at this point where I think she will just forget it one night and that will be that. Why are we not pushing to just take away night binky? We are having some sleep issues again. Mainly, nightmares. She goes to sleep fine each night and for naps. It is the middle of the night when she wakes up screaming and I have to go in and cover her back up, rub her back for a few seconds and that is it. If the binky helps get her back to sleep when we are doing this upwards of 5 times a night then I really don’t care if she still has it. It is all about sanity. How is operation not binky in your household? I have to say, I thought the fight would have been stronger with her but I think giving her the heads up was the best plan. 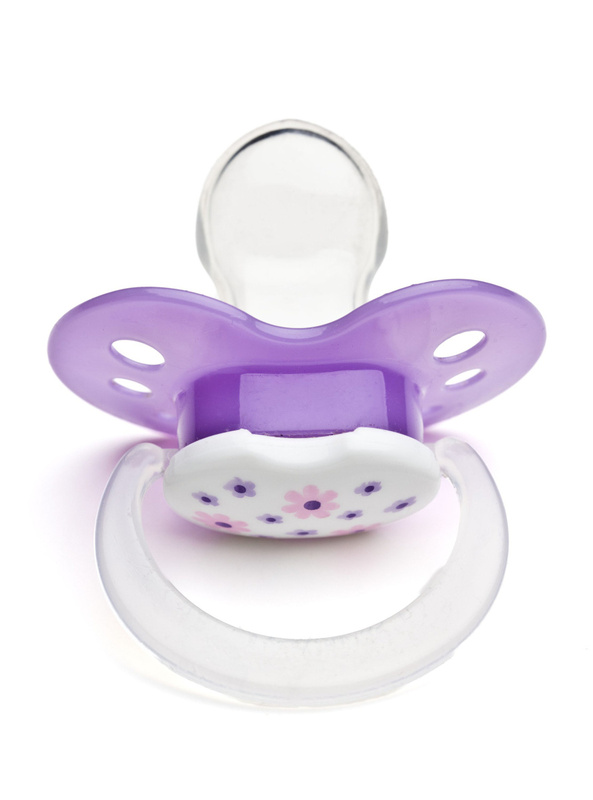 Funny story – my old neighbor had been trying to get rid of the binky for her youngest son. So I helped out and took it – he always let me hold him and stuff but after that he would not have anything to do with me. I also did the night and nap time only and when they were ready they stopped using it. Didn’t take long. We are kind of in the same boat. We still let him have it in the car because the commute would be killer if he was miserable the whole way. And then just for bedtime and naps. However, I was chatting with our daycare provider about the soother, because they have still been giving him two for his naps, and I said that I know the time is coming soon where we are going to have to take them away from him. The amazing woman that she is, offered to start trying to get him to nap without them while at daycare. She was seriously willing to go through the motions and pain of it on our behalf. Yesterday was his first nap without it and she said he didn’t get upset when she told him he couldn’t have it, but he took awhile to settle in for his nap, but then he fell asleep for over two hours. He NEVER naps for two hours. Fluke? Maybe. I don’t think the long nap had anything to do with the loss of the soother. I’m not brave enough to try bedtime yet. I am going to see how daycare goes with getting them gone and then I will go from there. He knows he’s not allowed them during the day and usually goes and pops them on the counter or shoves them in my pocket once he’s out of bed. But sometimes, when he finds one that he’s stashed away, he will come running into the room with it in his mouth, so excited, and it becomes world war 3 trying to get it away from him. I thought eliminating his night time bottle recently would be the hard part. Turns out soothers are even harder and that was a breeze! I hope Cora gets through this weird middle of the night wake up routine that she’s going through so you guys can get the rest that you deserve. Have the wake ups been happening since she moved to a bed instead of the crib? Any correlation with that? So the whole bed/crib thing is a post for tomorrow, literally. No correlation to that at all. She has hardly ever slept through the night but these nightmares are new in the past month I would say. She tells me about them in such detail it is weird! Our daycare dropped it during naps one day when they couldn’t find one of his and had no choice. Apparently he was just fine without it. Then we stopped during the day a few months before we stopped at night. And one night, without planning it, Mr. MPB offered Little MPB a new stuffed animal in exchange for his soother. And we threw them all out that night so we coudln’t give in. There were a few very rough nap times that weekend, and for a few weeks he searched for them in his normal hiding spots. But otherwise he just adjusted. It was shockingly easy considering how addicted he was to that thing!! That is awesome! Always nice when it goes easier than expected! I think it is harder on the parents than them for some of these transitional things.